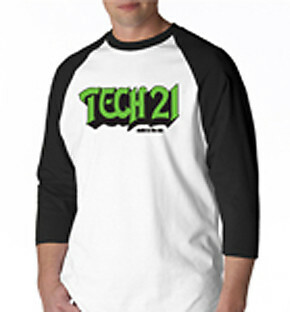 Tech 21 Concert Jersey: Tech 21. Black & White w/green logo front and back. Available in S, M, XL only.